The trip from Huaraz to Lima is around 8 hours without stop in a private car, but instead of just drive straight to Lima, we have included a guided tour to Caral Complex on route. Caral Alto, in the north side and Caral Bajo, in the south. 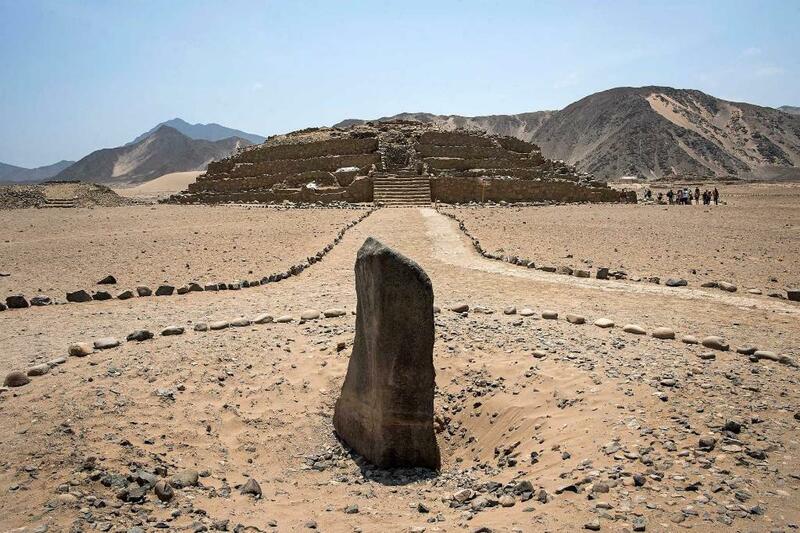 In Caral Alto stand out the Central Pyramid, the Pyramid of the Quarry, the Main Pyramid, the Minor Pyramid, the Pyramid of the Gallery and the Pyramid of the Huanca (sacred stone). Caral Bajo is composed by public buildings of smaller dimensions. Here were built the houses of the officials and a smaller residential group . The following buildings stand out: The Temple of the Amphitheater, the Temple of the Bench, and the Temple of the Circular Altar. We will have lunch in a local restaurant, in route to Huaraz. We will pick up you from your hotel in Huaraz. By private car we take the highway to Caral until (224 kilometers) Supe and from here we have 20 kilometers to Caral. In total there are almost 5 hours away. We will have lunch in a local restaurant, in route to Lima. Passport, small backpack hiking shoes/boots, rain coat/poncho, water bottle, hat, sunscreen, sunglasses, camera, light/quick-dry clothes, insect repellent, and snacks. Notice it is warm at noon and cold in the afternoons and early in the morning. Pick up from your hotel in Huaraz and drop off to your hotel in Lima. Private transportation, English Speaking Guide from Huaraz, entrance fee ticket to Caral and lunch at local restaurant on route. DOES NOT INCLUDE: Tips to your guide or personal expenses.